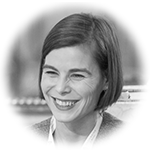 Elena is an international arbitration lawyer with over 19 years of experience in the field of commercial and investment dispute resolution with practices in Paris and Madrid. She has been involved in complex cases conducted in English and Spanish under major international arbitration rules such as the ICC, LCIA, ICDR, CCL, Amcham, CAM Milán, CIAM, KCAB and UNCITRAL Arbitration Rules. Elena regularly serves as international arbitrator (ICC, CCL, Amcham, ad hoc UNCITRAL, Corte Española de Arbitraje, Tribunal Arbitral de Barcelona, Corte de Arbitraje de Madrid) and has arbitrated as Sole Arbitrator, Presiding Arbitrator, Party Appointed Arbitrator and Emergency Arbitrator in construction, engineering, commercial, distribution, M&A, banking, shareholders, joint ventures, pharmaceutical and energy disputes.